Most tourists visit Edinburgh and pass Glasgow, may be because Glasgow still has a "rough" image. We did it the other way around, we didn't visit Edinburgh (at least not this time) but stayed in Glasgow for two days instead. Once you know where to go I think Glasgow is a great place for tourists. 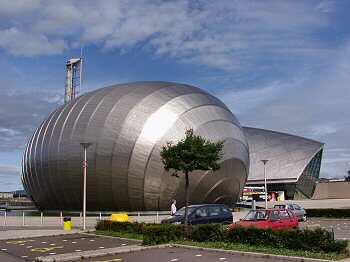 Our first stop was the Glasgow Science Centre. Unfortunately the Glasgow Tower was closed for maintenance, so we could only visit the Science Centre. 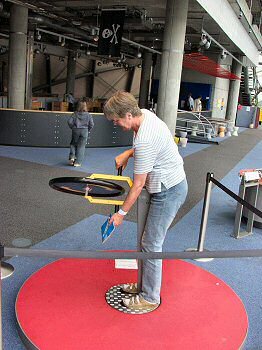 But we still had a great morning: We had a great time trying out the various exhibits (On the left my mother is experiencing some forces) and visited one of the science shows. 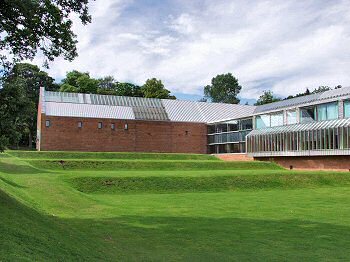 Our next stop was Pollock Park in the south of Glasgow, where we visited the famous Burrell Collection. 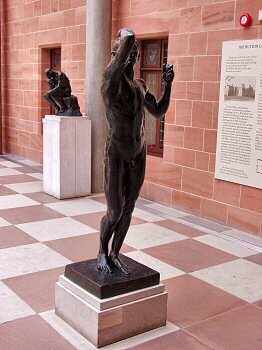 The Burrell Collection was gifted to Glasgow by Sir William Burrell (1861-1958) in 1944. 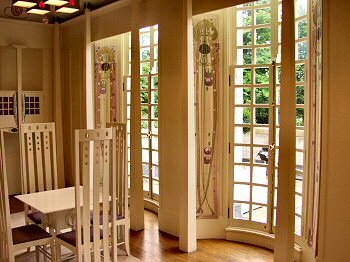 Unfortunately no suitable site to display the collection was identified until 1967 and the collection wasn't opened to the public until 1983, a long time after Burrell's death. 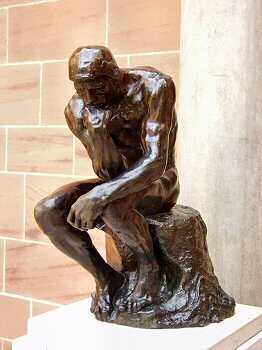 I was particularly fascinated by some of the sculptures by Auguste Rodin, of those in particular "The Thinker" (below left). 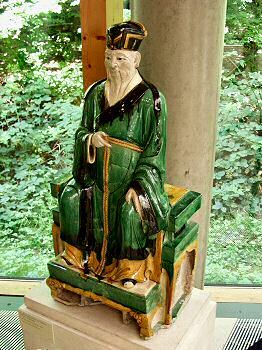 But we also saw various paintings, antique furniture and various Greek and Chinese Art. The remainder of the afternoon we spent in Pollock Park, enjoying the sun and reading the Sunday papers. 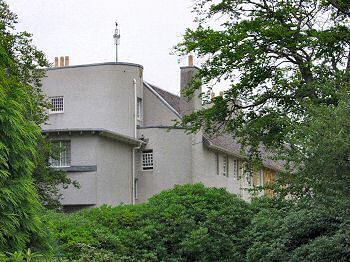 On the second day we visited the House for an Artlover in Bellahouston Park. 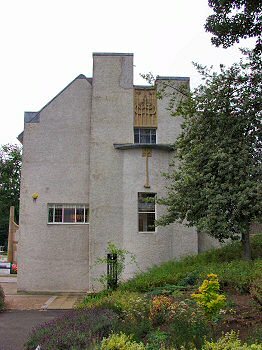 This beautiful house was built based on a competition entry by Charles Rennie Mackintosh, but not built during his lifetime. It was my third or fourth visit, this time I wanted to show it to my mother. 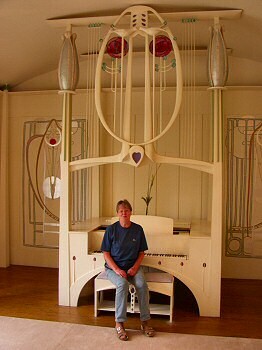 She enjoyed it very much, especially the bright Music Room. And with that our holiday was over. Next I dropped my mother off at the airport for her flight back to Germany before driving back down to Swindon in England. We had a great two weeks where we saw a lot, mostly with good weather.